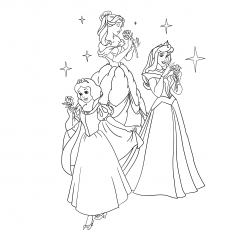 Read the story to your kid and then hand her this coloring sheet. 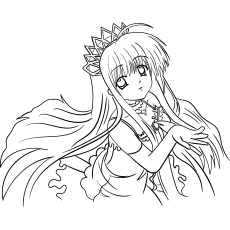 This will make the activity more interesting. 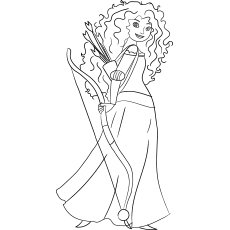 When your child is done coloring, ask her how the story ends. 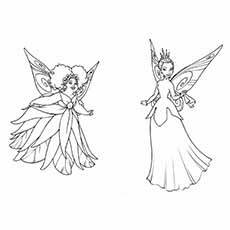 This coloring sheet will surely capture your child’s imagination and attention. 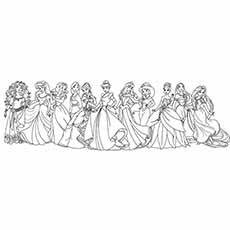 You little fairytale fan will surely have a gala time coloring this sheet. Follow it with a bedtime story session. 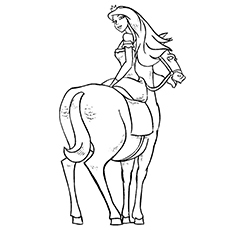 This sheet features a scene from the film “Barbie and the Magic of Pegasus”. 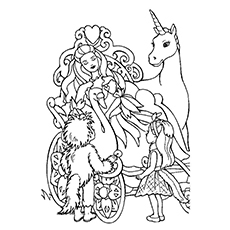 The diagram shows Princess Annika with her beloved pet Pegasus, a unicorn. 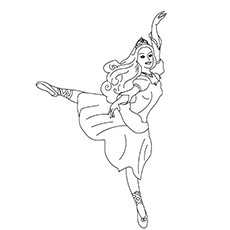 The story revolves around Princess Annika, who sneaks out of her castle to explore the ice rink festival. 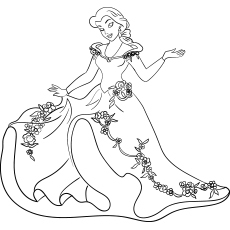 Encourage your child to explore her imagination and color this quintessential beautiful princess. The diagram has intricate details, which will help strengthen the hand muscles of your kid. 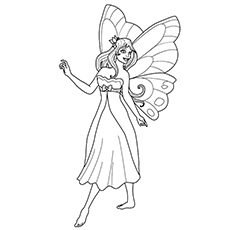 Your second grader will surely enjoy coloring the pretty princess and the beautiful nature that surrounds her. 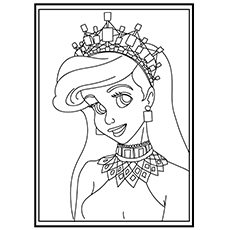 You can also print out several copies of this coloring sheet for your daughter’s friends. 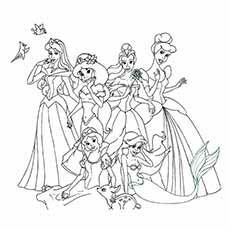 They will have a great time coloring this sheet together. This scene is taken from the classic fairytale “The Princess and the Pea”. 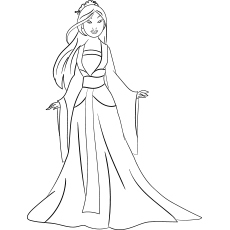 The story revolves around a prince who wants to marry a princess, but is unable to find a suitable bride. 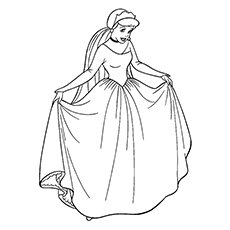 One stormy night, a young girl, claiming to be a princess arrives at their house. 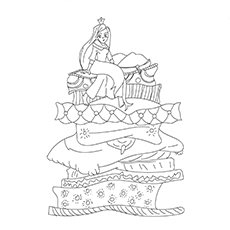 The prince’s mother decides to test her by placing a pea in the bed she is offered for the night. What happens after that? 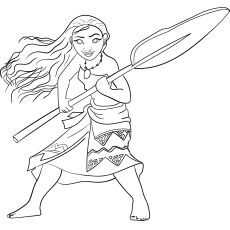 Read the story to your daughter and her friends and see their faces filled with smiles! 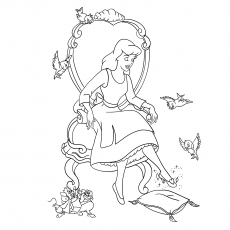 Why don’t you ask your kid to make up her own fairy tale to go with the picture? This will develop her thinking and imaginative skills. 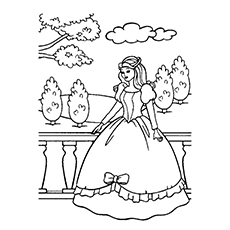 Tell your child to color the background in light colors like sky blue and pale yellow. Ask your child to add some colors to make it look more appealing. Use bright colors instead the regular white for the bride’s gown. 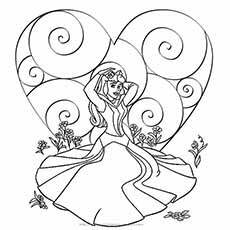 This coloring sheet is a great way to teach your child about love, friendship and affection. 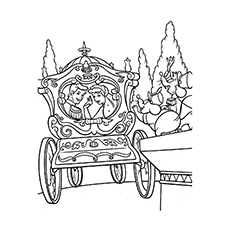 The intricate designed carriage will help develop your child’s motor skill. 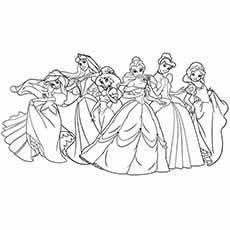 When your daughter is done coloring the sheet, ask her to write a short story to go along with this princess picture. 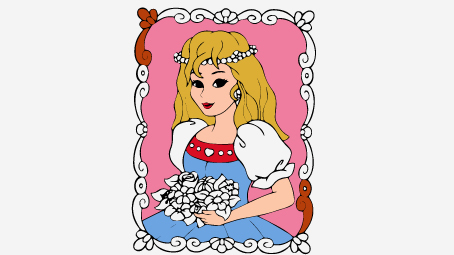 She was abducted as an infant and raised by a wicked witch who exploits her golden hair’s unique abilities in order to remain young and youthful for several years. 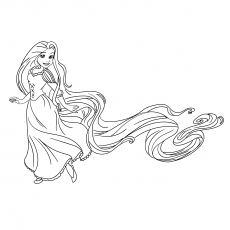 Rapunzel then manages to escape the secluded tower with the help of a thief named Flynn. 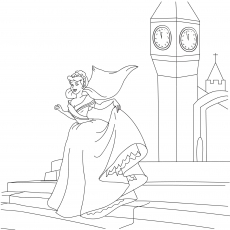 This coloring page features a lovely princess showing her dancing skill. 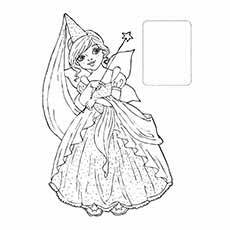 Play some soft music and dance along with your little princess after coloring this sheet. 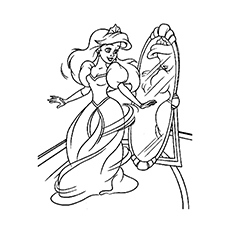 This beautiful princess is wearing a flowing gown and is admiring herself in the mirror. 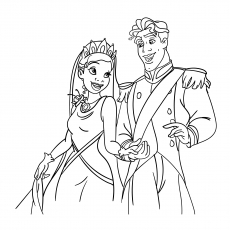 Your child will love coloring the ball dress and the tiara. 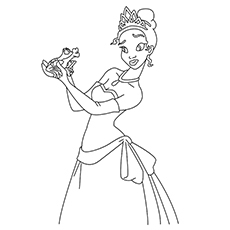 Allow her to color the princess anyway she likes. 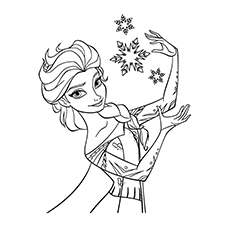 Elsa has a complete control over cold temperatures and the elements of ice and snow. 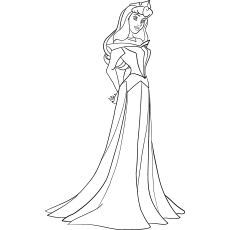 Elsa is a strikingly beautiful young woman with a tall and slender figure and platinum blonde hair. 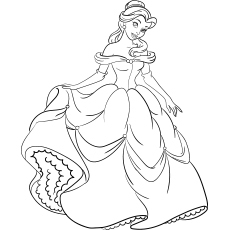 It features Princess Cinderella admiring herself in her new gown. 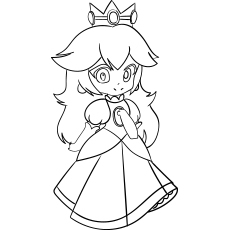 It looks like she is all ready to turn into a beautiful princess. 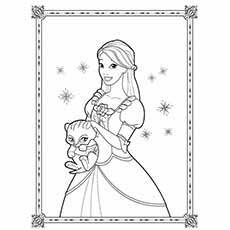 As your child brings this beautiful princess to life, she will also get to practice coloring inside the lines. 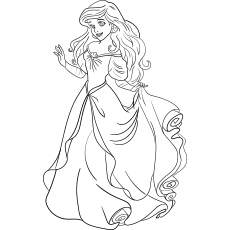 Ask your daughter to give this lovely princess and her long locks some color. 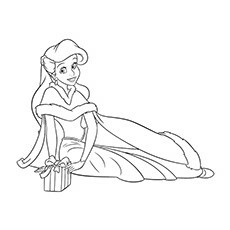 Ariel is the main protagonist of the film “Little Mermaid”. 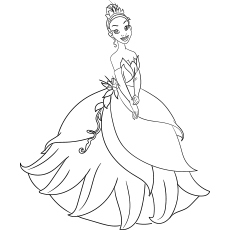 She is the princess of the sea.